The Uganda Film Festival 2018 Jury observed that local productions would flourish by improving the quality of Sound in film productions. 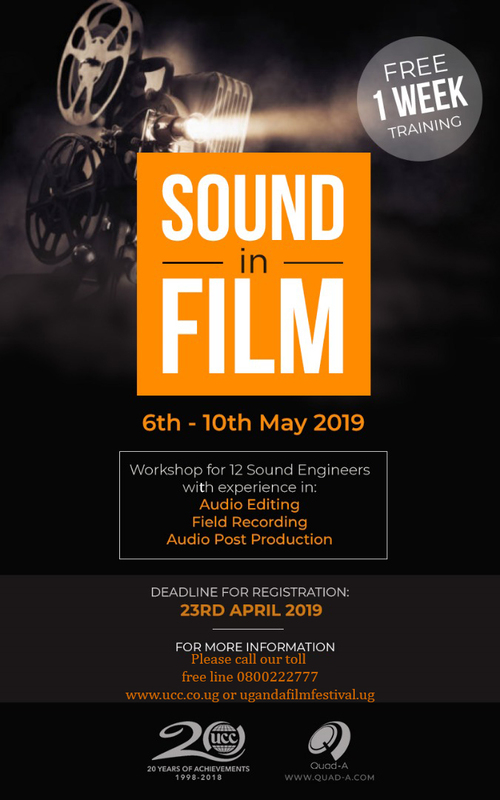 The Uganda Communications Commission in partnerships with one of the best studio engineering company in Uganda (QUAD A RECORDS) will host quarterly training Masterclasses in sound engineering for film production. The training is suitable for Sound Engineers, Directors and Producers and young people interested in making a career in film making. 1. To increase literacy in the audio field among filmmakers. 4. To generally influence improvements in the quality of films released in Uganda. The training duration is five days with theory sessions on the first three days and followed by practical sessions. Certificates offered to participants upon completion.